SwingOut Manchester’s flagship weekly class night! SwingOut Thursdays is our fun, friendly and welcoming night of learning and dancing. With three levels of classes on offer there’s something for everyone whether you are a first time dancer or a dancer with experience. Your entry will guarantee you 2 of the three avaialable classes and an hour of free practice and dancing time for you try out your new skills and hit the dancefloor. All of our classes are designed around being fun, inclusive and value for money and our instructors are no different. 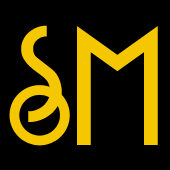 Always on hand to help, look out for someone with an SOM pin if you have a question. 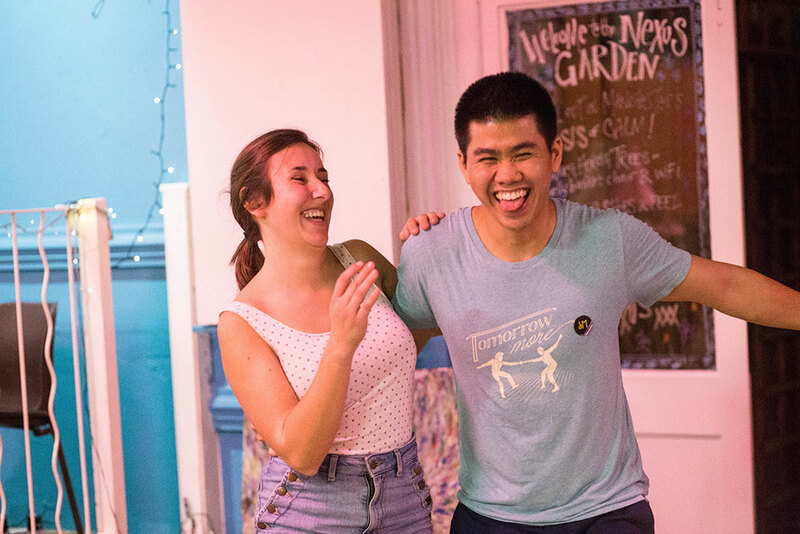 Our entry-level classes are the perfect way to get an introduction to Swing Dancing. Designed to be accesible for any dancer, these classes will give you the foundations in the Lindy Hop and Charleston. These hour long sessions will provide you with an excellent Thursday night out as our instructors will get you on your feet and dancing. No experience is required, no partner is required, no dress code, just bring yourself and we’ll bring the fun. If you’ve been dancing for 12 months plus and you’re feeling like more of a challenge, then why not try our Intermediate level classes. 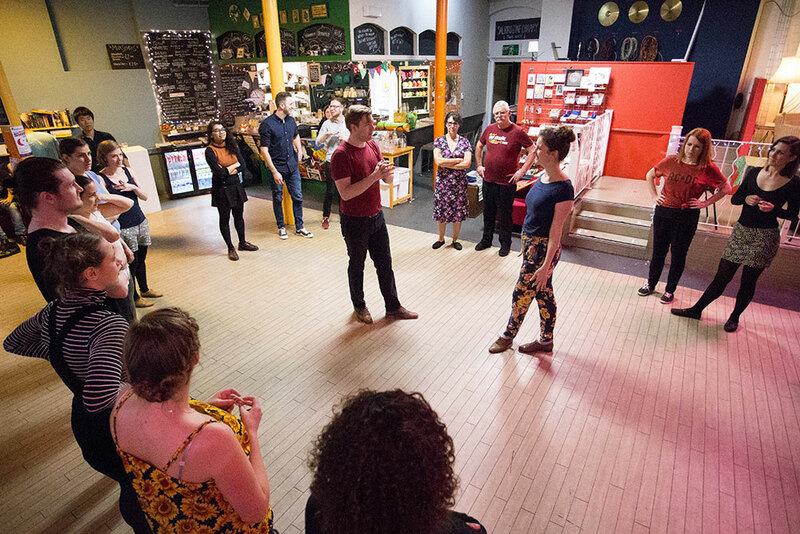 Getting into the nitty-gritty of the Lindy Hop and Charleston, these classes aim to develop your knowledge and ability, equip you with new skills and enhance your current skills. Prior experience is recommended, however if you’re not certain, why not drop in and watch one of our classes or speak to our instructors for more information. Up to 2 x 1 hour classes. 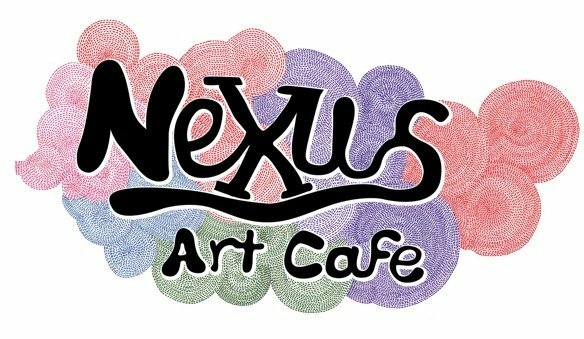 The Nexus Art Cafe is a non-alcohol venue. Tea, Coffee can be purchased during class nights from the cafe along with a delicious selection of cakes. It is an incredibly warm and welcoming place to dance. Nexus Art Cafe, 2 Dale Street, Manchester, M1 1JW.